This Baby Boy Carriage Cake was buttery yellow, filled and covered with chocolate buttercream. 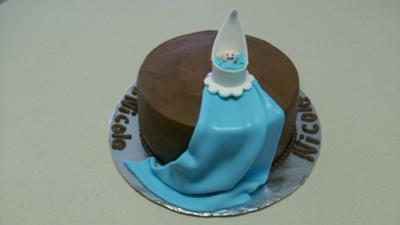 The baby carriage was made out of fondant, as well as, the baby and blanket. I used regular buttercream frosting. The client really liked it as well.